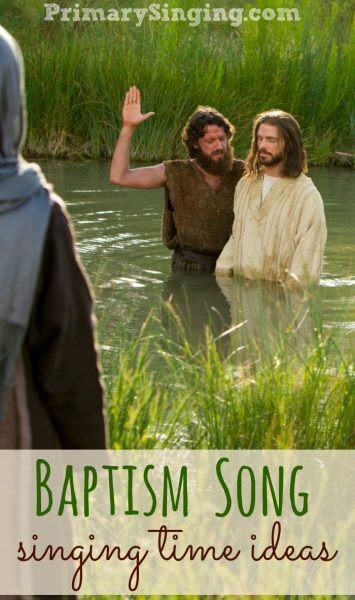 Sing through Gethsemane before starting this activity. 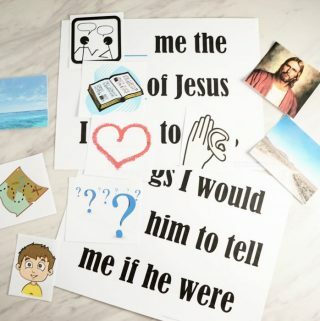 Ask the children how they know that Jesus loves them? What are some ways they see or feel His love for them? 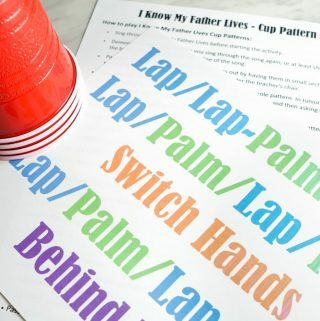 Pass out a blank sheet of paper or a cutout of one of the coloring page images below. 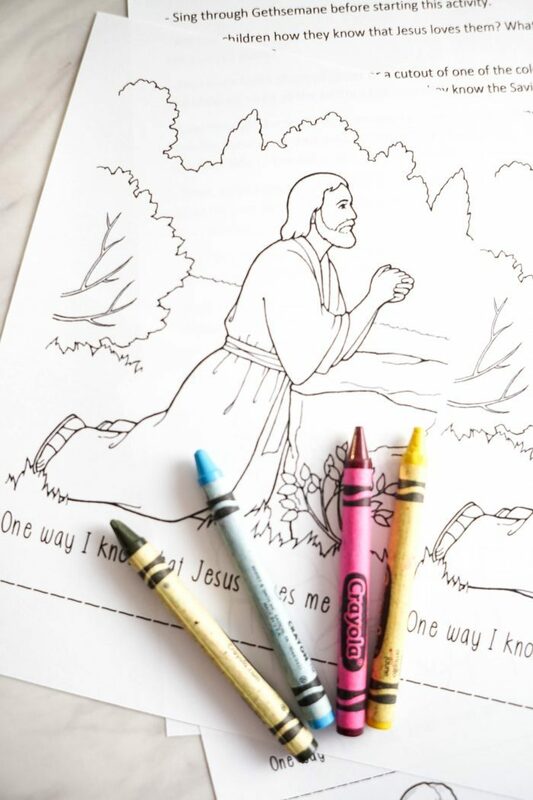 Have the children write at the bottom one way they know the Savior loves them. 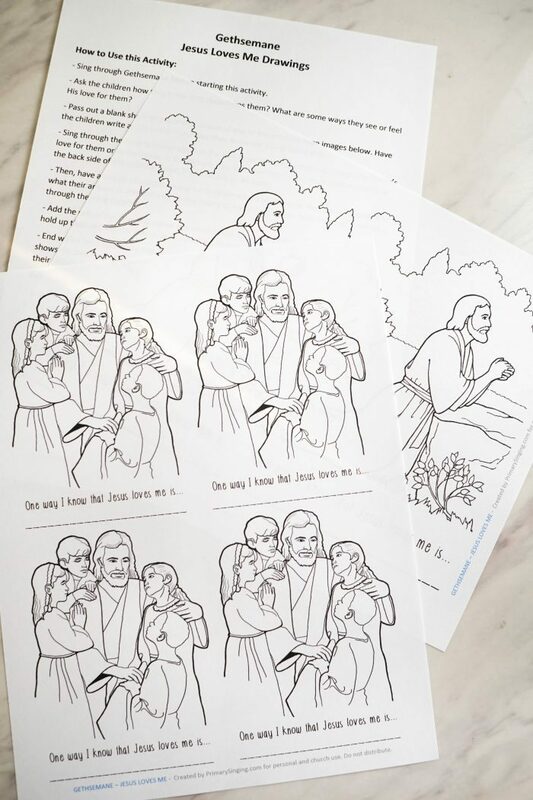 Sing through the song together again as the kids draw something that represents the Savior’s love for them or as they color in the picture. You can even have them draw their own idea on the back side of the coloring sheet, if you decide to do both! Then, have a couple of children come up to share what they drew or their coloring page and what their answer is. 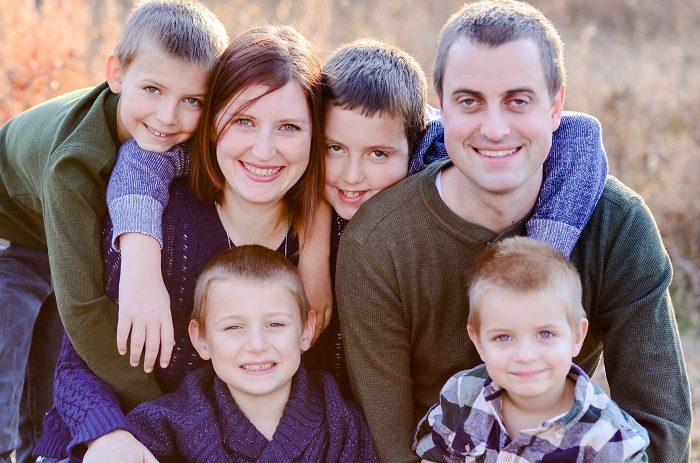 Put them up on the board or have the children hold them up front. Sing through the song together. Add the rest of the drawings up on the whiteboard, or have all the children stand up and hold up their pictures for everyone to see. Sing through the song one last time. 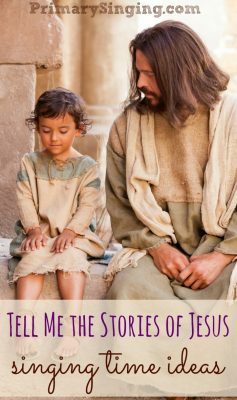 End with a brief testimony that Jesus, our Savior, does love each and every one of them. He shows His love for us individually and in so many ways! You can have the children then place their picture below their chair to take home with them (if they’d like to). 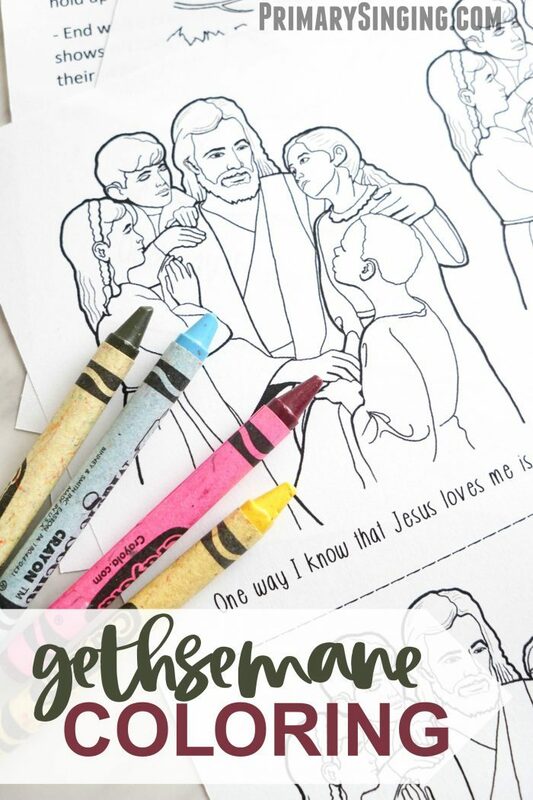 – Have the class draw a big mural with different ways the Savior loves them! 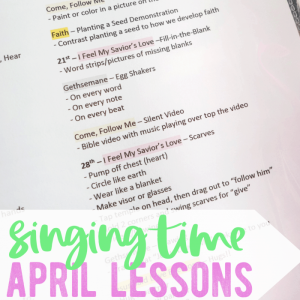 Have 3-4 children come up front at a time to draw on the whiteboard while the rest of the Primary sings through the song, then rotate helpers. 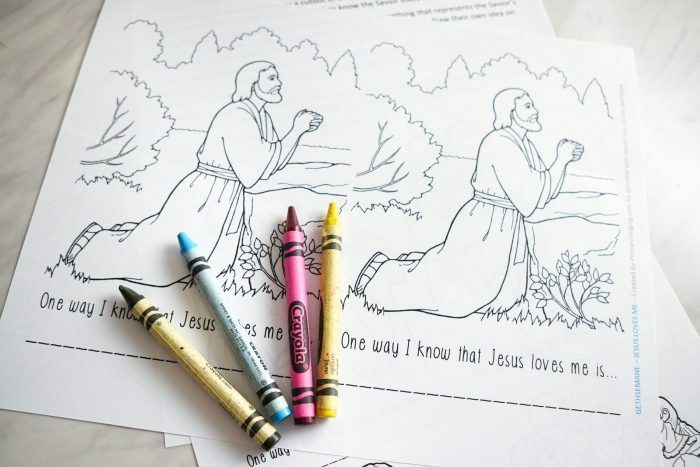 – Use the drawings (with permission from the individual children) as a bulletin board cover for your program or simply for a weekly program cover! – Write down some of the children’s answers for use in the Primary Program Presentation bulletin or post their answers on the bulletin board. For those that may find it helpful, I’ve assembled a document with this lesson plan so it’s easy to store in your files for later use. I’ve also included two different coloring page options with quarter-page or half-page options! 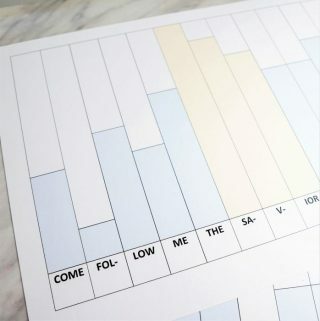 You can use those or simply bring in blank printer paper for the kids to come up with their own drawings. 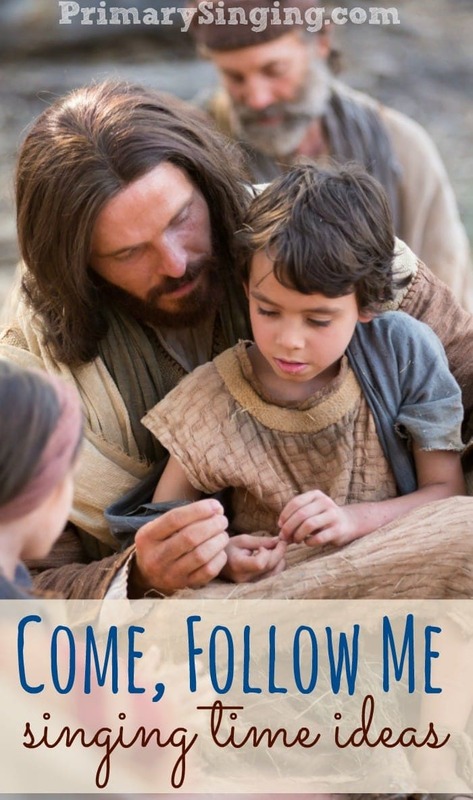 Stick around for more fun lesson plans and activities for Gethsemane and other Primary songs!